Have you seen photos of those piercingly blue and green colored lakes with towering mountains around them? 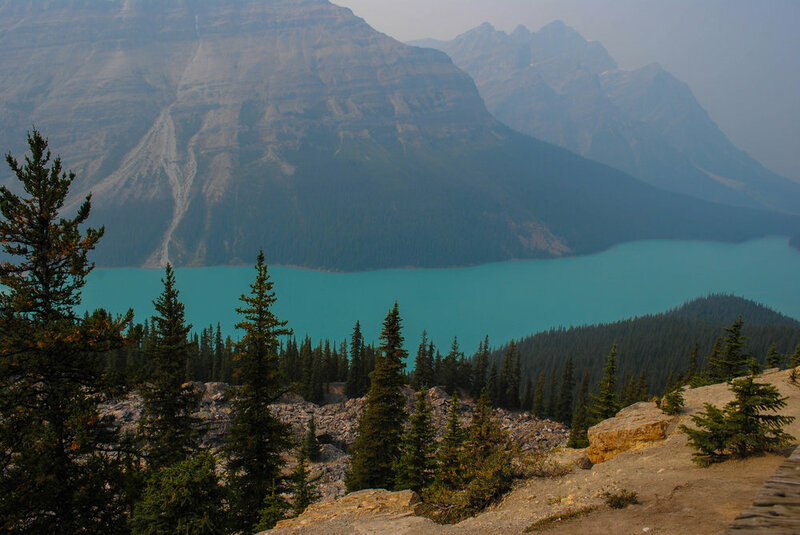 I’m going to assume you’ve probably seen photos of Peyto Lake, Lake Moraine and Emerald Lake but if you haven’t I’m going to explain and show you what you’ve been missing out on. I recently got the chance to visit these spectacular pieces of nature and am stoked to share this with you! These lakes put out extremely beautiful colors that make most people dream of visiting them. From the first time I had seen photos of a person kayaking across Emerald Lake I knew that I needed to visit these and soon. With global warming and the melting of glaciers in these beautiful areas they won’t be around for long. Anyways, I’m going to explain to you why these lakes have extremely vibrant colors that way you can know what you’re looking at. Being there at the time and not knowing what I was looking at bugged me so I want to explain to you what it is so you know when you get the chance to see one of these glacial lakes. 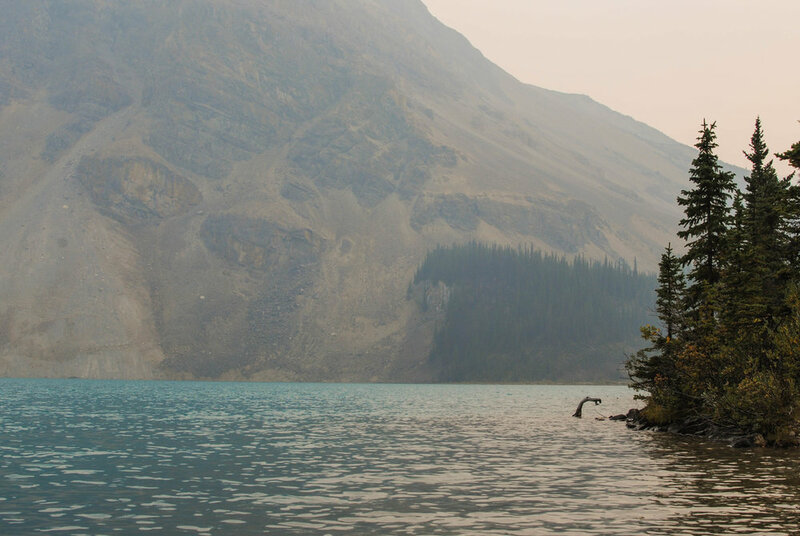 As you can see these lakes are absolutely gorgeous, the pictures still don’t do the beauty justice and during the time when the photos were taken there were wild fires in the area so they are a bit smoke filled. The beauty comes from finely ground rock particles suspended in the water. That beautiful color comes from rocks grinding under the glaciers causing a sediment to be distributed into the lakes that lay below glaciers. This sediment called “rock flour” absorbs and reflects different colors of sunlight throughout the lakes and rivers close by which causes the unbelievable colors. Now, one thing we noticed and were really surprised by was the milky color that came in the rivers. Because of the current of the river the sediment makes a milky grey color due to the shuffling of the sediment. Although in lakes the sediment gives off a beautiful turquoise that is unbelievable. I highly encourage everyone to get a chance to see these in person. They are without a doubt one of the most beautiful places I’ve gotten to visit and I can’t wait to return when I get the chance. Cheers friends! Share with my photos you’ve taken at glacial lakes, I can’t get enough of them!